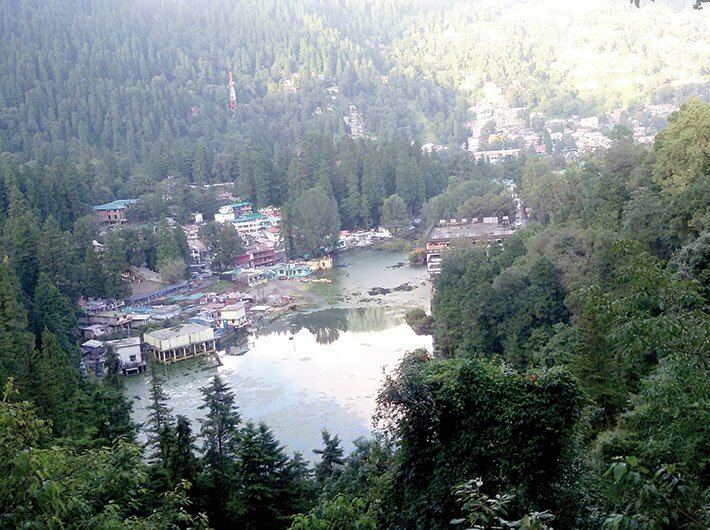 A small central Himalayan settlement in Uttarakhand – Nainital, with spellbinding topography, earned the sobriquet ‘natural amphitheatre’ from its colonial masters in the nineteenth century. This is thanks to its lake, about 1.5 km long and 0.5 km wide. It is surrounded by seven hills. A two-tiered mall road runs along its shoreline and a vast levelled expanse (known as ‘flats’) is perched on its western flank. The hill station was once known for its cleanliness, colonial hangover and an elite and sophisticated air that marked its general ambience. But with a limited carrying capacity, it had limited possibilities too. 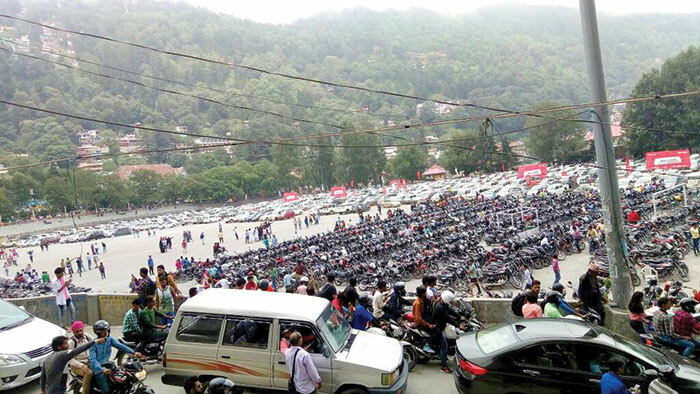 Imagine if during the peak season – summers – from all its three entry points, over five thousand vehicles each are allowed to pour in every day adding to the existing population of over one lakh, what ruckus would be wrought all over. By the last week of June, the ecological health of this town was in shambles and the civic systems were thrown out of gear. The mall road, where till the eighties even spitting was unthinkable, had people urinating and defecating in the corners. The Bandstand, a reminder of legendary Jim Corbett, was littered with diapers, disposable plates and glasses, wrappers and food leftovers. The locals were almost under house-arrest for about a fortnight because of the suffocating congestion. For office-goers, local commuters and children on way to their schools, it had been nothing short of a nightmare. 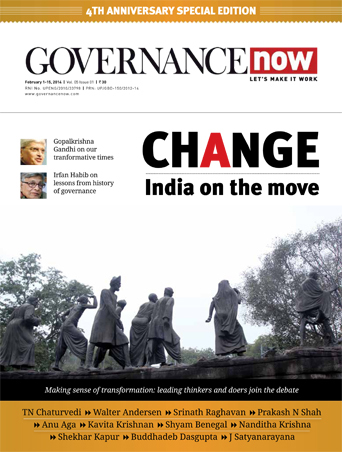 The civic body over the years has been incompetent to tackle the various problems. There is no proper plan or vision for garbage management. No step has been taken to control the increasing population of stray dogs and monkeys. Surprisingly, the number of registered hotels and guesthouses in the town is around 150, while those that are unregistered are more than double this number. Same is the case with vehicles operating as taxis and horses being used for riding. It is unfortunate that the strong lobbies of hoteliers and eatery operators in the town, for whom the swelling number of tourists has always been a boon, are oblivious to the speedy deterioration that the town has been subjected to since the turn of the millennium. 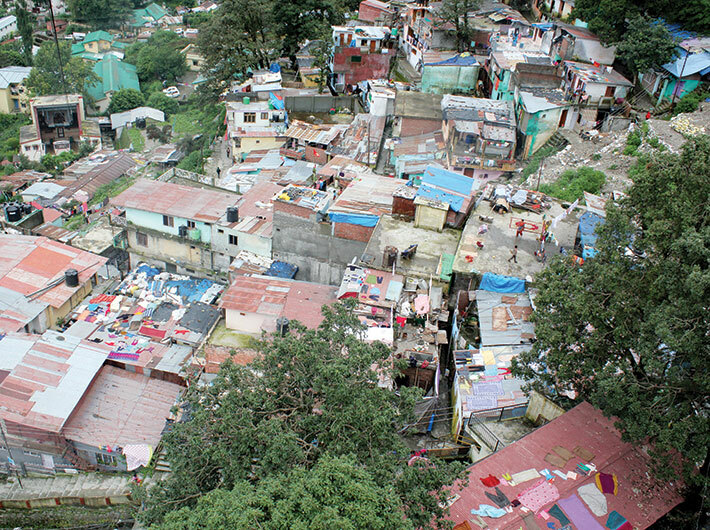 The government departments constituted to control the construction binge have not done enought to tackle the situation. 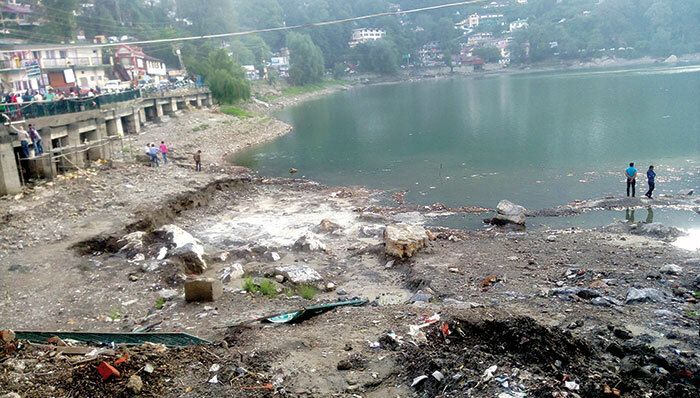 With the single desire to have immediate gains, the actions of politicians, planners and the business community have had alarming fallout on the catchment area of the lake. 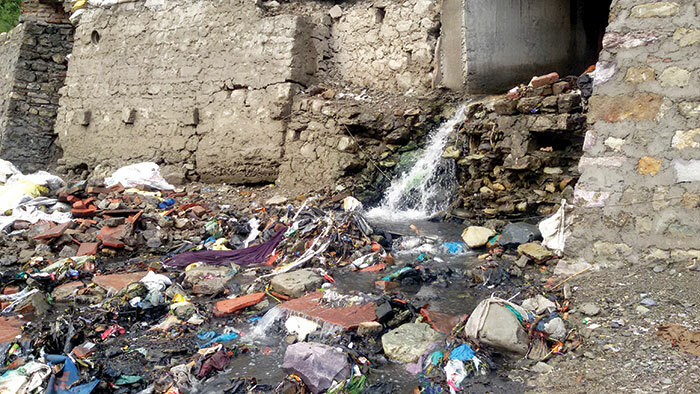 The original 11 square km has shrunk by over 50 percent and that too is littered with garbage and construction debris that flow into the lake with the first monsoon shower. Massive construction work has surfaced in Sukhatal, a rain-fed pond. The subterranean channels contribute around 33 percent in feeding the lake. A huge multi-storied parking has been constructed right at the heart of this water body, though the need of the hour was to discourage or at least regulate the entry of vehicles in the town (like what was done in Matheran, Maharashtra). However, when each vehicle is charged a toll tax ranging from '100 to '200, in addition to the parking fee to the same tune, such monuments of human greed and folly are bound to surface. Of late even land on the hill roadsides have been converted into paid parking lots. 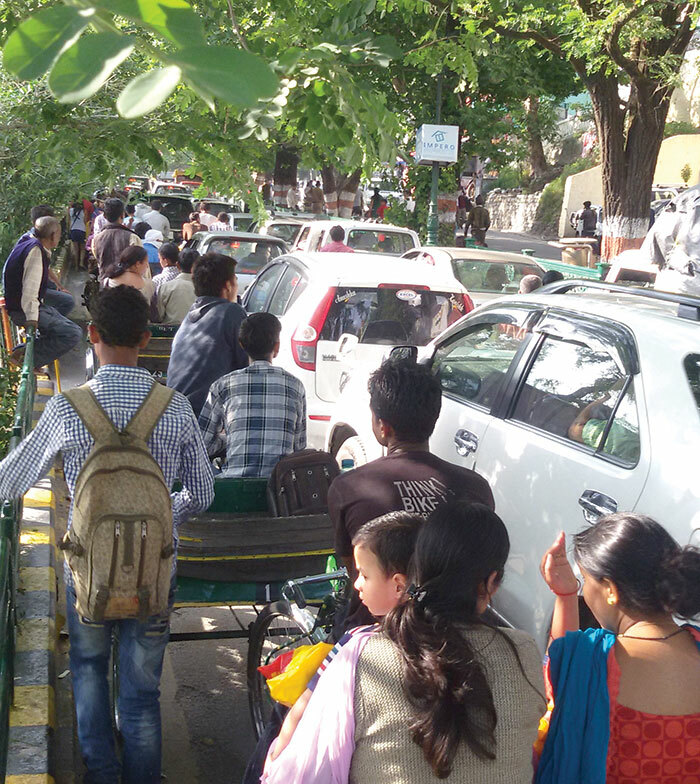 If a massive crack appears on the historic mall road, it will threaten settlements on the ridge where the ropeway is – even the nonagenarians may have never seen such an occurrence in their lifetime. 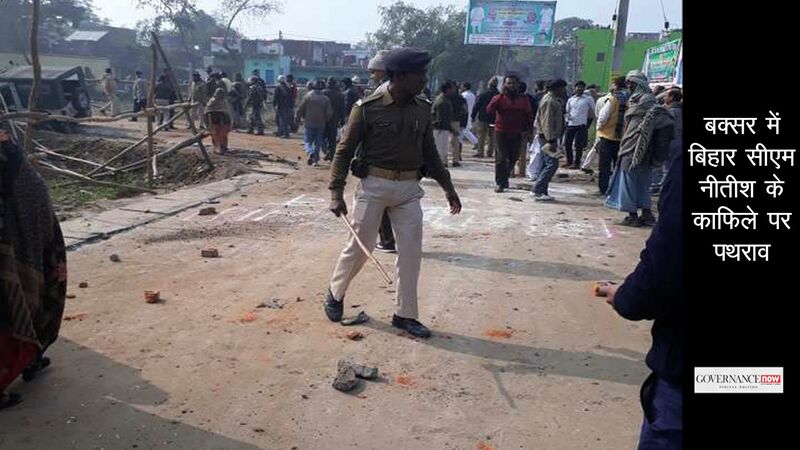 The ailing town will get a few more committees of the so-called experts to study the possible, though otherwise well known causes of the various problems. A few scholars from the local university will write papers. The court will issue a few strictures responding to the PILs filed by concerned citizens and activists. However, with the advent of the winters, when the seasonal onrush dwindles and the lake is replenished by the runoff in the monsoon, all concerns will disappear like the morning mist.